The case for allowing medical marijuana in sports. The pain was a whisper. A shout. The pain was always there, like a shadow, and when Nate Jackson moved, the pain moved with him. Moved through him, really, from throbbing joints to separated shoulders, from a strained oblique muscle to a hamstring damn near torn from the bone. Something would heal. Something else would hurt. Life in professional football was an excruciating game of whack-a-mole, the grand prize forever out of reach. "You never live pain-free in the [National Football League]," says Jackson, a former Denver Broncos tight end. "You don't discuss it. But you manage pain on a daily basis. Every morning there's this moment -- especially when you wake up in training camp -- when you're like, what the f--- am I doing? How am I going to make it through this practice? Even getting out of bed is hard. How you deal with it is your own personal thing." Guys popped pills, Vicodin and Oxycontin, serious stuff, at first a few and then a few more. Guys took injections, Marcaine and Toradol, potent liquid lifelines that wouldn't be out of place in a trauma ward. Jackson did the same, swinging the rubber hammer. The shots made him uneasy. The pills made him groggy. Still, the sport remained a demolition derby, only without the cars. And so Jackson coped with the pain, in his own, personal way. Sometimes, at night, he smoked marijuana. "I never smoked weed before practice or games, before going to work," Jackson says. "I didn't think that was a good idea. I had no desire to be a stoner. But as the season would wear on and I would be in more and more pain, I found find myself smoking a little bit. It helped the pain. It helped my mind get away from the game. I think it allowed me not to dive too far down into the opioid [pain-killing drugs]." Understand: Jackson didn't need to get high. He needed to get well. He didn't need to make a late-night Fourth Meal run to Taco Bell; he needed to make punishing catches over the middle. Marijuana fit the bill. In 18 states and the District of Columbia, the plant is legally considered medicine, like cough syrup, a remedy for conditions ranging from migraine headaches to glaucoma, neuropathic pain in HIV patients to chemotherapy-related nausea. See a doctor. Fill out the appropriate paperwork. Obtain state permission. Visit a dispensary. Pick up a prescription. Voila. In California, Oregon and elsewhere, you are largely free to use cannabis for legitimate health reasons. 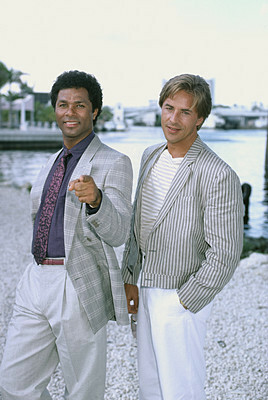 Under federal law, however, the exact same drug remains a Schedule 1 controlled substance -- illicit and illegal, with no accepted medical use, a target for the Drug Enforcement Agency and/or Crockett and Tubbs. Drug polices in professional sports reflect the federal approach, as Major League Baseball, the National Basketball Association, the National Hockey League and the NFL all forbid marijuana, even for therapeutic use; had Jackson failed a urine test or been caught while toking up, he would have been subject to enrollment in a treatment program, fines and suspensions. 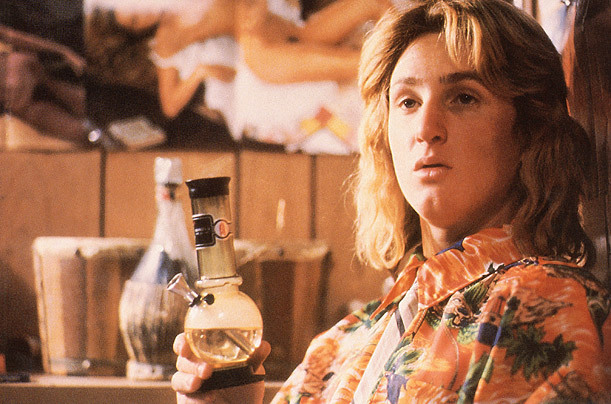 Not to mention tsk-tsking disapproval from a sports culture that enthusiastically embraces prescription painkillers and alcohol, yet traditionally views cannabis consumption as either a Jeff Spicoli-like indulgence (at best) or a draft stock-sinking character defect (at worst). Question is, does any of the above actually make sense? "I've heard arguments presented about marijuana potentially being allowed for players to use as an alternative way to deal with pain," says free agent linebacker Scott Fujita. "I don't think there's any harm in having that kind of conversation and exploring whether something like that is feasible and would make sense from a health standpoint. I've said before that maybe we should consider granting [therapeutic use exceptions to the NFL's drug policy] for marijuana use for guys who prefer to manage pain more naturally as opposed to using synthetics. "That always gets a laugh. But again, I think there's no harm in at least having the discussion. And as long as something like that is managed by a health care professional, just like with everything else we're prescribed, then perhaps it can be governed and administered responsibly." Fujita has a point. A valid one, actually. Three years ago, an ABC News poll found that 8 of 10 Americans support legalizing marijuana for medical use. Professional sports should take the hint. Indeed, if the NFL and other leagues are serious about the health and well-being of their athletes, it's time for them to reconsider their prohibitions of medical cannabis. High time, even. After all, did you know that marijuana is scientifically associated with "significant analgesic effects" in the treatment of certain types of chronic pain? Or that the drug is recommended by doctors for headaches, sleeplessness, light sensitivity and loss of appetite -- all of which can be symptoms of a concussion? Or that according to researchers, low doses of smoked marijuana -- the same naughty substance that makes Tyrann Mathieu such a risky, roll-of-the-dice NFL draft pick -- "can decrease anxiety, fear, depression and tension?" Heck, did you know that there are gels and oils infused with cannabis that are simply used to treat joint pain? "They're a great invention, specifically for older patients," says Amanda Reiman, a policy manager for the Drug Policy Alliance, a national drug policy reform organization. "Completely non-psychoactive. You won't get high. Really great for people looking for pain relief. But it's only available in [medical marijuana] dispensaries." Reiman knows dispensaries. Also a lecturer at the University of California, Berkeley's School of Social Welfare, she moved from Chicago to Berkeley in 2002 to pursue a doctoral degree. Struck by the area's embrace of medical marijuana, she wrote her dissertation on the topic -- spending an entire summer visiting seven different dispensaries, surveying and interviewing patients. "It opened my eyes," she says. "A lot of people were consciously using marijuana for pain instead of prescription drugs. They kept saying, 'I don't think I'll get addicted to this like my Vicodin. I'm not worried about overdosing like with my Oxycontin.' I probed further and they were even using it as a substitute for alcohol. The side effects were a lot less." Three years ago, Reiman was performing for Cheer San Francisco, an adult cheerleading squad that raises money for HIV/AIDS patients, when her leg was kicked out from under her. She tore both her meniscus and anterior cruciate ligament and underwent reconstructive knee surgery. The post-operative pain was intense. Only Reiman had a problem: She couldn't take standard pain medication. It made her sick. She tried cannabis oil. "I was able to use just a little bit," she says. "It gave me complete pain relief. I didn't get constipated or nauseous. I didn't lose my appetite." Think professional athletes might find the same balm useful? Here's the thing about high-level sports: They hurt. Tackles hurt. Body checks hurt. Throwing a baseball 90-plus miles per hour 45 times in an single afternoon hurts. Sprinting up and down the court on consecutive nights in Atlanta and Miami hurts. Lifting weights in the offseason hurts. Even when athletes aren't injured, they're still dealing with pain, and as their bodies get older, the aches get more persistent. "The adrenaline that used to really carry you, the idealism and hype and all that, it starts to fade," Jackson says. "You need more coaxing for your body to feel good." Enter marijuana. Last year, former NFL lineman Lomas Brown said that at least 50 percent of the league's players smoke weed. Former NBA guard Robert Pack once put the association's usage rate at 70 percent. International cricket star Sir Ian Botham used cannabis regularly during his career. Pro wrestler Rob Van Dam told Cannabis Culture magazine that he personally knows "boxers, bodybuilders, cyclists, runners and athletes from all walks of life that train and compete with the assistance of marijuana." Are they all just getting high for fun? Perhaps. Or perhaps they know something medical investigators are beginning to discover, something that's no mystery to the cannabis users interviewed by Reiman. "People say, 'I'm just smoking because I want to get high,'" she says. "But if you really talk to them, a lot of them are actually using it therapeutically to reduce stress and pain, or to help them sleep." Because marijuana is a Schedule 1 controlled substance, clinical research is both rare and difficult to conduct; as Donald Abrams, a cancer and integrative medicine specialist at the University of California, San Francisco puts it, "You have to get a special license from DEA. You have to get the cannabis from the National Institute on Drug Abuse. They can't fund clinical trials looking at potential benefits of cannabis, so you have to get funding somewhere else. Then you have to get the Food and Drug Administration to approve it, because you're looking at a plant for a potential medicinal purpose. Depending on who is funding your study, you might need approval from the National Institutes of Health. Here in California, you also need to get approval of the research advisory panel of California. At your university, you need to get your school review board. And if it's an inpatient study, you have to get approval from a clinical research center." Nevertheless, a 1999 Institute of Medicine study on medical marijuana -- a report funded by the Office of National Drug Control Policy, hardly a bunch of longhaired hippies -- found that marijuana has pain-alleviating properties. Two years ago, the British Journal of Clinical Pharmacology published a review of 18 randomized controlled trials of cannabis; in 15 of the trials, the drug proved "safe and modestly effective" for treating neuropathic pain, with "no serious adverse effects" and "preliminary evidence of efficacy in fibromyalgia and rheumatoid arthritis." Oh, and patients mostly slept better, too -- which just happens to be a crucial component of athletic recovery from injury and physical strain. "Basically, it helps pain by blocking the signal to the brain for pain," Reiman says. And that's not all. Marijuana has been found to have anti-inflammatory properties, too. According to Mitch Earleywine, a psychology professor at the State University of New York at Albany and a medical marijuana expert, the drug works in similar fashion to … aspirin. "It's essentially the same mechanism, like a fatty acid that helps us communicate with our own bodies when inflammation might be a good reaction to an injury," he says. "So if it's swelling, cannabis will help. It's great for a migraine headache or a knee injury, which seem like different things but aren't. Anything that you would use an NAISD [non-steroidal anti-inflammatory drug, like ibuprofen or naproxen] for, you could certainly use this for." Small wonder, then, that Earleywine believes athletes should at least have the option of using medical marijuana. Reiman agrees. So does Frank Lucido, a Berkeley-based physician who has two former NFL players as patients. In an interview with the Wall Street Journal, Lucido said that he thinks marijuana was practically designed for football ailments, ranging from headaches to depression. "The most common thing I see in NFL players is chronic orthopedic pain," he told the newspaper. "I say marijuana should not be a banned substance [in the league]. It has too many medical benefits." Among those benefits? Potentially better mental health. Former NFL running back Ricky Williams once told ESPN that marijuana was "10 times better for me than Paxil," a drug he had been taking to treat social anxiety disorder. Suspended for an entire season for violating the NFL's substance abuse policy and dismissed as a late-night talk punch line, Williams may have been onto something. A 2011 paper in the American Journal of Sports Medicine that specifically considered marijuana use by athletes found that cannabis induces euphoria. Improves self-confidence. Induces relaxation and steadiness. Reduces anxiety. Relieves the stress of competition. In addition, the authors noted that marijuana plays "a major role in the extinction of fear memories by interfering with learned adverse behaviors" and speculated that "athletes who experienced traumatic events in their career could benefit from such an effect." Miss a big putt? Fumble the ball on the goal line? Give up a game-winning home run? Suffer a nasty crash on the Super-G? Toke up. Your nerves -- and your subsequent career -- may depend on it. "It not just physical pain you deal with," says Jackson, who currently is writing a book about his time in football, "Slow Getting Up." "It's this really intense mental aspect. You're sitting in meetings 3-4 hours a day. Being told to focus. Being told that this week, this game, this play is f---ing everything. It creates a lot of stress and anxiety. It's hard to relax. Marijuana allowed my body and mind to relax. The relaxation was really important. Everybody has to have that thing they can do to step away from the game, or they are going to go crazy. "We hear it every year, college kids coming out [for the NFL Draft] and smoking marijuana and it's a red flag for teams and all this s---. But I don't think there's a discernible difference between the dude who smokes weed and the one who doesn't. In fact, I think the guy who smokes weed might be a little more calm and not as high-strung." Mark Stepnoski was a college football All-American. A two-time academic All-American. He played 13 years in the NFL, went to five consecutive Pro Bowls, earned two Super Bowl rings and was named to the league's 1990s All-Decade second team. Following his 2001 retirement, Stepnoski became a spokesman for the National Organization for the Reform of Marijuana Laws, a Washington-based lobbying group; in an interview with Sports Illustrated, he said "after a game you hurt so much, you need something to relax. I'd rather smoke than take painkillers." Like Williams, he may have been on to something. America has a painkiller problem: according to the Centers for Disease Control and Prevention, prescription drug abuse has become an epidemic, with opioid medications involved in 14,800 overdose deaths in 2008 -- more than cocaine and heroin combined -- and more than 475,000 emergency room visits the next year, a number that nearly doubled from 2004. Professional sports have a problem, too. Popular NHL enforcer Derek Boogaard died in 2011 from an accidental overdose of painkillers and alcohol, with the New York Times reporting that he received more than 100-plus prescriptions for thousands of pills from more than a dozen team doctors. Also in 2011, ESPN and researchers at the Washington University School of Medicine in St. Louis published a survey of former NFL players' painkiller use. The results were disturbing. More than half of the respondents had taken opioids during their pro football careers. Nearly three-quarters of that group had misused the drugs. Seven percent of all players said they had misused prescription painkillers within the last 30 days -- an abuse rate more than four times higher than the general population. In an eye-opening recent Men's Journal investigative article, former New York Jets quarterback Ray Lucas detailed his crippling, near-fatal painkiller habit -- six or eight Vicodins with his morning coffee, half a dozen Percocets to wash down lunch, double that to make it to bedtime -- while author Paul Solotaroff labeled the NFL "a professional league so swamped by narcotics that it closes its eyes to medical malpractice by many of its doctors and trainers. It does so not because it lacks the will to police its staff and players, but because the game itself could not survive without these powerful drugs." "I've always been concerned about the use, overuse, and in some cases, mismanagement and abuse of painkillers among us," Fujita says. "Generally, I tried to avoid using painkillers if I could get by without them, because I was always concerned about creating a dependency or an addiction. But I've had to rely on drugs of some kind quite a bit throughout my career, whether it's Toradol, other NSAIDs, Vicodin, Percocet. And even though I would consider my use much less than that of many others, I still feel like I've put way too many harmful materials in my body to play this game." Opioids such as Vicodin and Percocet are powerful, addictive and potentially deadly. They can cause withdrawal symptoms after a single day of use. They engender rapid tolerance, requiring patients to consume larger and larger doses to achieve the same analgesic effect. They affect the area of the nervous system that controls breathing -- which means that if you overdose, you run the risk of never breating again. They are hell on the liver. Then there are the lesser side effects. "The unspoken truth is that they cause all these weird problems that nobody is ready to discuss," says Earleywine. "Like constipation. Imagine trying to run for a touchdown while you're constipated. That can be rough." Other locker room alternatives aren't much better. The anti-inflammatory drug Toradol can cause kidney damage, ulcers and brain bleeding if given more than several days in a row; according to reports, some NFL players take injections of the drug for months at a time. Even over-the-counter pain medications like aspirin and ibuprofen can cause gastrointestinal bleeding if taken in high doses or for extended periods of time. "There were times I had to take a little bit of pain pills," Jackson says. "I always had some remaining in bottle. Never refilled a prescription or had to ask for more. In the back of my mind, I knew they were bad for me. But you'd see some guys popping a lot of pills as part of their normal, daily routine. Some guys were ordering big bottles of them. It's a big problem. These guys are set up for a lifetime of addiction. I have non-football player friends dealing with opioid addictions. One is still in denial and one is just coming out of it. It's really, really serious s---." Marijuana is not a perfect drug. Side effects can include increased heart rate, dizziness, greater appetite, paranoia and disorientation. On the other hand, no one has ever died from a cannabis overdose. It's not physically addictive. Withdrawal symptoms are mild to nonexistent. Use vaporization -- a process that heats marijuana to a temperature where active chemical vapors form, but below the point of combustion -- and the toxin-inhaling respiratory risks associated with smoking vanish. Following a six-year study, the United Kingdom Drug Policy Commission likened the risk of using cannabis to that of … gambling. And eating junk food. Earleywine is more blunt. No pun intended. "One of my grad students just gathered data from medical [marijuana] users," he says. "Consistent low does usage does not see many negative consequences at all. The concerns we had about tolerance and withdrawal seem to be appearing only in heavy dosage situations. So what are the big negative consequences? Look at the standard measures of drug abuse. Impaired family relationships? Cannabis is not notorious for that. Trying to raise money for drugs via prostitution? No one is on the street giving [sexual favors] for pot. Impaired functioning at work? There's not a big hangover effect. How about actual physiological problems? We don't see the liver damage notorious in alcohol use. We're not seeing the respiratory problems that you see with tobacco use, especially when using vaporizers. "So what are we left with? Scare tactic things about mental illness. I guess, yeah, if you have a schizophrenic twin brother, you shouldn't use it. Other than the occasional cookie dough binge, I really don't see what the big negative consequences would be. It's certainly safer than Oxycontin and the stronger opiates. Oddly enough, aspirin at higher doses is much harder on the liver than cannabis." Sure. But what about getting baked -- and then trying to play sports? "I just got a call from a skiing magazine," Earleywine says. "They asked, 'Is this going to make people dangerous on skis?' I don't think anybody means somebody should go take a giant bong hit and then go play football. We're talking about medical use. People don't understand that low doses don't change cognition much. You can get these anti-inflammatory effects with essentially no psychoactive effects." A research review published in the International Journal of Drug Policy concluded that cannabis used in conjunction with opioids produces greater pain relief -- allowing patients to use lower opioid doses, a huge plus -- and also helps prevent withdrawal symptoms. By contrast, mix opioids and alcohol and you can end up dead. "Guys after games get pills," Jackson says. "They're in pain. Then they have a few days off. They drink. It's really dangerous to combine the two. But it's very common." Speaking of alcohol: A few years ago, then-Cal football coach Jeff Tedford asked Reiman, who teaches a substance abuse treatment class, to speak to his players about alcohol and how it could negatively affect their on-field performance. Reiman discussed hangovers. Being sensitive to light and sound. Dehydration. She brought up behavior choices -- how alcohol leads to bad ones, like bar fights and driving while intoxicated, choices that could keep them off the field altogether. "At the time, I wasn't talking about it in the context of substituting marijuana," she says. "But when I started doing research, that idea started making more and more sense. I realized a lot of the reasons why individuals might choose marijuana instead of alcohol and prescription drugs. Athletes especially. It's a harm reduction choice." Jackson concurs. Sports leagures are awash in beer, from stadium taps to corporate partnerships, television commercials to player nightlife. Marijuana is relegated to a don't ask, don'te tell closet. Should it be the other way around? "If you're talking about booze, marijuana is by far the lesser of two evils," he says. Impairs skills requiring eye-hand coordination and a fast reaction time. Reduces motor coordination, tracking ability and perceptual accuracy. Impairs concentration, and time appears to move more slowly. According to Dr. Gary Wadler, a New York University School of Medicine professor and lead author of the book "Drugs and the Athlete," these are just some of the potential effects of marijuana on athletic performance -- deleterious possibilities that make current sports prohibitions seem wise, even necessary. That is, unless you consider actual athletic performance. Michael Phelps is arguably the greatest swimmer in Olympic history. Tim Lincecum is a two-time Cy Young winner. Randy Moss is going to the Pro Football Hall of Fame. All three have been known to use cannabis. Lifting the sports world's pot ban does not mean athletes are going to start toking up during television timeouts; nor does it mean they'll suddenly become Cheech and Chong-esqure slackers and stumblebums. NFL wide receiver Santonio Holmes was named Super Bowl Most Valuable Player during the same season that he was charged with marijuana possession. Tony Villani, a trainer who has worked with 70-some NFL prospects over nearly a decade, told the Wall Street Journal that he has seen "no correlation" between players' marijuana use and on-field work habits. In an ESPN the Magazine story published last year, 19 current or former members of the University of Oregon football program revealed widespread marijuana use by football players for at least the past 15 years, with estimated usage rates between 40 and 60 percent. "If you're not hurting the team, everyone's cool with it," a Ducks player told writer Sam Alipour. "Some of us smoke, and then we went out and won the Rose Bowl." And why not? The previously mentioned American Journal of Sports Medicine article noted that "athletes under the influence of cannabis indicate that their thoughts flow more easily and their decision making and creativity is enhanced. Health professionals have encountered athletes including gymnasts, divers, football players and basketball players who claim smoking cannabis before play helps them focus better." The authors also wrote that cannabis increases "risk taking, and this perhaps improves training and performance, yielding a competitive edge. Cannabis increases appetite, yielding increased caloric intake and body mass. Cannabis enhances sensory perception, decreases respiratory rate and increases heart rate; increased bronchodilation may improve oxygenation of the tissues. Finally, cannabis is an analgesic that could permit athletes to work through injuries and pain induced by training fatigue." In other words: Marijuana may allow some athletes to work harder. Or smarter. Forget "Reefer Madness" and everything your junior high basketball coach ever said. The drug just might be a performance enhancer. On and off the field. "You'd be surprised to know the athletes out there who are full-time, everyday stoners who are in great shape, never huff and puff on the field, and are actually good guys, productive citizens, stay out of trouble off the field," Jackson says. "I'm writing about that in my book. A joint might make you content to sit on the couch and think instead of going out, getting drunk, popping pills and needing action to pacify you." According to California-based physician and medical marijuana expert David Bearman, cannabis has been used as a medicine for more than two millenia. It was listed in the U.S. Pharmacopoeia until 1942; an active ingredient in medications manufactured by companies such as Eli-Lilly; prescribed for ailmets ranging from migraines to menstrual cramps. When the drug was criminalized in 1943, lawmakers did so against the advice of the American Medial Association. "American physicians [gave] three million [marijuana] prescriptions per year in the 1920s," Bearman says. "[Professional] baseball seemed to get along okay." If medical marijuana won't hurt athletes -- and arguably may help them -- then why can't the sports world just say yes? Blame the same laws. The federal government remains intransigent. Medical cannabis is still illegal in a majority of states. When Washington and Colorado legalized recreational marijuana use last Election Day, the NFL and NBA were quick to inform USA TODAY Sports that marijuana remained a banned substance under their collectively bargained anti-drug programs. Similarly, spokespeople for both leagues and MLB recently told ESPN.com's Shaun Assael that they had yet to receive a single therapeutic use exemption request for medical marijuana -- and would be highly unlikely to grant any. "Right now, there is absolutely no way either the leagues or the players' unions are going to agree to do something that the federal government does not support," says Jordan Kobritz, a sports management professor at the State University of New York at Cortland. "They just rely on the government for so many things. Public funding of stadiums. Television blackout policy. Antitrust law and exemptions. They like to position themselves as private businesses, but they need government handouts. So as long as the federal position is entrenched, I don't think you'll see any changes." Dana Larsen is more optimistic. A former editor of Cannabis Culture magazine and the founder of the Vancouver Medical Cannabis Dispensary, he once thought that he wouldn't see legalized marijuana in his lifetime. But the culture is moving. Attitudes are shifting. The public is increasingly open to medical marijuana use, and government is catching up. Only sports leagues, he says, are still behind the curve. And not because of health reasons. "Their rules are based on a perception that marijuana is immoral in some way, and that athletes should be role models and role models shouldn't use," Larsen says. "But I think that perception is not valid anymore. I think it's possible to use marijuana medically and be a good role model. There's not contradiction there. And I think most of the public now agrees." Does the public agree? Do athletes? In the end, we're talking about their bodies. Their choices. In and around Berkeley, Reiman gives frequent lectures on drug policy and medical marijuana. Afterward, she says, she's often approached by college athletes. Some use. Others have teammates who use. All of them fear getting caught, but none of them worry about the drug itself. From firsthand experience, they know better. "Image is extremely important to sports organizations," Reiman says. "But that's no reason to reject athletes' desires to use something that is effective and safer than the alternatives. At the very least, it makes sense for the organizations to acknowledge this, to acknowledge that these individuals are making good choices and to support their ability to seek health care in whatever way they see fit, even though the substances are currently considered illegal in some places. Having an honest conversation is the way to go." And how does that conversation start? "If we could show that marijuana grows hair, helps you lose weight or helps you maintain an erection," Reiman says with a laugh, "it would be legal in 24 hours."